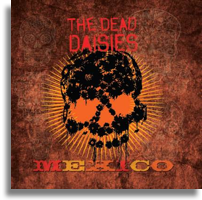 The Dead Daisies are proud to announce the Australian release of their new single “MEXICO” on July 31st. The new hit single is the first from their upcoming album Revolución, slated for release in September this year. “Mexico”, recorded at 301 Studios in Sydney, features bassist Marco Mendoza (Thin Lizzy, Whitesnake), keyboard player Dizzy Reed (Guns N’ Roses), guitarist David Lowy (MINK, Red Phoenix), lead guitarist Richard Fortus (Guns N’ Roses, The Psychedelic Furs), John Corabi (Mötley Crüe, RATT) on vocals and drumming from Jackie Barnes (Jimmy Barnes). Adding some spice to the release of “Mexico”, The Daisies have teamed up with Fraser Harley-Davidson Sydney, Pistonhead Lager, and Beach Burrito to bring you a ‘Secret Location’ Private show. There will also be the opportunity to win a customised ‘Daisies’ Harley-Davidson Street 500 Motorcycle with all donations going to The Cancer Council. Revolución, released in Europe around their tour dates, reached No. 9 on the Amazon Charts, received amazing reviews, impressed stadium audiences and won over many new fans. The Dead Daisies are a powerful musical collective created by a rotating line-up that features some of the world’s best rock musicians. Influenced by 70’s and early 80’s hard rock, The Daisies’ sound is soulful and accessible-equal parts The Faces, Bad Company and Foreigner: muscular vocals, bluesy riffs, big choruses, powerful melodies and strong hooks. Whether it was inspired by Elvis or The Beatles, Led Zeppelin or Jimi Hendrix, it always started with the music, and that’s what The Dead Daisies are all about. With stellar musicianship and pulverising live shows, fans across the globe are discovering the band that is bringing back Rock & Roll! The Dead Daisies are about to embark on a tour of the States with David Coverdale and Whitesnake, then they are headed back to rejoin KISS on the Australia and New Zealand leg of their World Tour.